Located in the heart of Hollywood, W Hollywood was one of the first lifestyle hotels to open in the neighborhood, sparking a revitalization that led to luxury residential high-rises, restaurants and hotels entering the scene. The property’s iconic rooftop WET Deck is also a great place for couples or bachelor/bachelorette parties to soak in the sun poolside and lounge in private cabanas witch cocktails from the bar and views of the Hollywood sign, Griffith Observatory and Downtown LA. 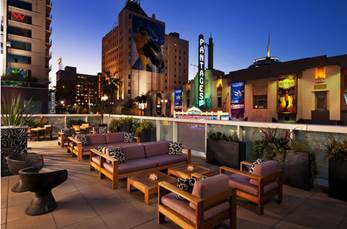 Additionally, the hotel is situated near staple LA destinations such as Runyon Canyon, The Palladium, Walk of Fame, Chinese Theater and Capital Records, which is perfect for lovers or groups of friends trying to hit all the notable landmarks. · Unveil ($179/person) – includes honeymoon suite accommodations for the bride and groom on the night of the wedding, two complimentary guest room upgrades for the parents of the bride and groom, waived location fee for photography, a complimentary menu tasting for up to four guests, a five-hour reception with speakeasy bar service, four passed hors d’oeuvres, champagne toast, wine service during dinner and a three-course dinner. · Indulge ($199/person) – includes everything from the Unveil, but with five passed hors d’oeuvres, and a four-course dinner. The property will also provide a complimentary reservation link that makes it easy for guests to reserve their rooms. ·The Loft – The completely convertible space can host up to 350 people in a ceremony and 200 with a dance floor, and features floor to ceiling windows that overlook most of Los Angeles. It also includes built in lighting and a sound system, a private lobby with two private lifts that go straight to the rooftop, and a built-in bar. ·Hollywood Terrace – Overlooking the historic Hollywood Pantages Theatre, Capitol Records, and the Hollywood Hills, this more intimate outdoor space can accommodate 50 people and also features a private entrance. 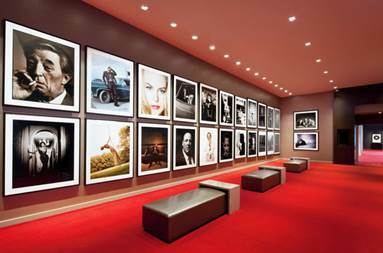 · Pre-Function – In true Hollywood Style, the pre-function space features a red carpet for up to 150 guests, and portraits of celebrities from famous photographer Timothy White. ·Great Room – For larger weddings of up to 400 people, the space overlooks Hollywood Pantages, Hollywood Walk of Fame, and Capital Records, with a large foyer for cocktail receptions. ·WET Deck – For poolside weddings, this space is sure to wow guests with 360-degree views of LA, a fire pit as the central focus of the ceremony, and private cabanas / VIP areas. ·Station – The large outdoor space with fire pits can host up to 180 guests and includes a 30 foot drop down screen that’s perfect for video and photo montages.